I recently received a brochure on the mail with information about the 6th Annual Conference on Hereditary Breast and Ovarian Cancer and thought to share it with you. You may ask then, how do I know them? How come I got their brochure on the mail? 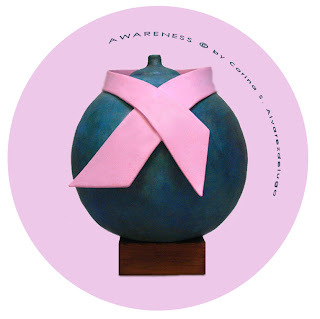 Well, as I posted on January 16th, thanks to all of you who have bought the pocket mirrors with the image of my sculpture "Awareness," I've been able to donate the proceeds to the Downey Sisters' Fund at FORCE. The Joining FORCEs 2011 conference will be held June 23-25, 2011 in Orlando, FL at the Hyatt Regency Grand Cypress, and they welcome anyone concerned about hereditary cancer: cancer survivors, high-risk individuals, those with a BRCA mutation or family history of cancer, and health care providers who treat high-risk patients. At the conference, attendees will have the opportunity to learn the latest information about Cancer Risk, early detection and risk reduction options, among other things... Please, click HERE to view the brochure and learn more about this conference. Thank you for reading! 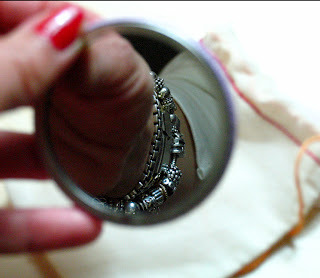 I will welcome your comments as I thrive to make this blog better for you!! ...and please remember to check often the tabs on top of this post, under FOR YOUR INFO and IN THE NEWS, as I'm constantly adding new links for you! Remember, the best medicine is prevention, so do your breast self-exam once a month and your Mammogram once a year! When you get your mammogram done, ask the radiologist to tell you about your breast density. A recent study shows that, in the USA, 95% of women do not know their breast density despite increased cancer risk! So, please ask! Once you know your density, you'll be empowered. That little piece of information is so important... please, click HERE to learn on how the different breast densities read on mammograms. 6 Ways to win a Prize! 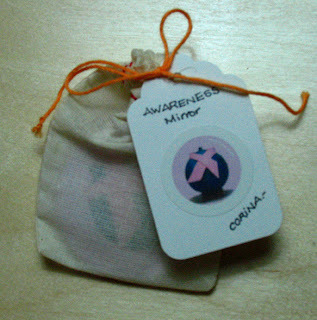 We're looking to get more people to read the important message we have here to share, so we need your help, and to reward you for your efforts we're giving away Pocket Mirrors with the image of the sculpture "AWARENESS" to the lucky winners! The perfect size to keep in your pocket or purse! So, here is how it works, every time we get 50 followers, we'll raffle one, and the winner will be announced here with a link to his/her blog or website. Do you want to increase your chances to win? I'll add one more entry under your name for every comment you leave in this blog, and one more if you blog about this giveaway on your blog, and if you tweet about it on twitter, another entry. On twitter, please use @corinadotdash, so we know to count you in. Want to increase your odds, go to our Facebook Fan Page and give us a "LIKE" and you'll get one more entry, leave a comment there, another entry, share it on your Facebook Wall, one more. As you can see, it's very easy to enter in this one of a kind giveaway... just click away! 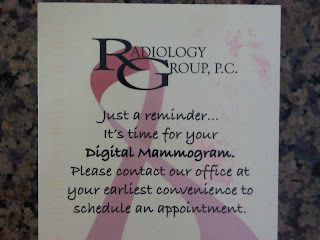 Last December I received a reminder that it was that time again to make an appointment for my annual mammogram. After going back and forth with the idea of calling to make the appointment... you know how one tends to push the unpleasant things for later... today I decided not to push it any further and get it done with as soon as possible. So I'm all set, I'll have my mammogram done on the 28th. I know this will be just stage one of the process, as they always advise for me to get an ultrasound due to my breast density. The only difference is that this time I know more about it and I'll be able to be more proactive when talking to the specialists. Please, keep your fingers crossed so everything goes well!!! P.S. 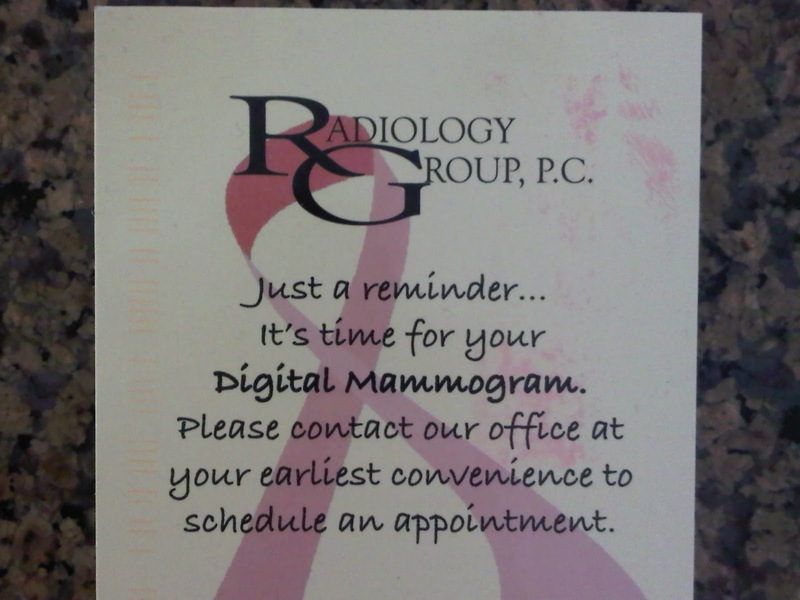 : The place were I go to uses digital mammography. << I did everything the medical community told me to do. I ate healthy, exercised daily, had no first-degree relatives with breast cancer, and had a decade of yearly "normal" mammograms. Two months after my "normal" mammogram, my doctor discovered a “ridge” in my breast. She ordered another mammogram and ultrasound. The mammogram revealed "nothing" yet the ultrasound detected a 2.5 cm mass with 13 cancerous lymph nodes -a "normal" mammogram weeks before -is that EARLY detection? My physician informed me that I have dense breast tissue and for women like me (2/3 of pre-menopausal and 1/4 of post menopausal women) mammograms are limited in "seeing" the cancer through the density. This was the first time I was informed about my dense breast tissue. During treatment, I searched medical journals and uncovered research which demonstrated by supplementing mammogram with ultrasound cancer detection increases from 48% to 97% in women with dense breasts. "It is not the standard protocol to inform women about their breast density," said my surgeon. I was outraged that the medical community knew about this fatal flaw in early detection and was not sharing this life-saving information with women. I pledged to ensure that no other woman unnecessarily suffers the tragedy of a later stage cancer. I developed an Are You Dense? informational brochure and began educating the community about dense breast tissue. 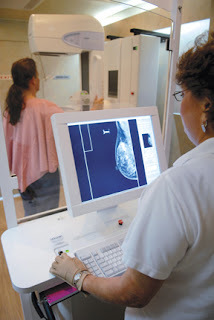 I worked with the Connecticut Legislature and, in 2005, the State enacted legislation which required insurance companies to cover whole breast ultrasound screening for women with dense breast tissue. As I continued my public speaking, even with an ultrasound screening bill, most women were still not informed of their breast density. So, in 2007, I worked again with the legislature on a bill to communicate breast density information to women through their mammography report. The watershed moment came two years later when the bill was finally supported by the Connecticut Society of Radiologists, passed two legislative committees and the Senate. By Session's end, the bill was not called by the House for a vote. I was devastated. I had three choices -give up this mission, revive the bill next year, or relentlessly pursue exposing the secret of dense breast tissue. I chose the latter haunted with knowledge that women may have a hidden intruder stealing their life. I personally funded a website (www.areyoudense.org) and concurrently filed for federal designation as a public charity. Are You Dense, Inc. was born. Two years later, the website, which has a Spanish version, receives visitors from 41 countries. 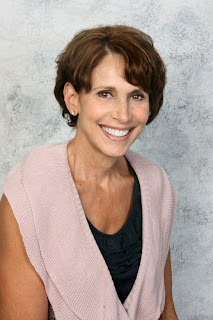 Five years after my advanced stage diagnosis, on October 1, 2009, Connecticut became the first state to require the communication of breast density to the patient through her mammography report. This landmark legislation has made a significant impact in the standard protocol of early detection. Women are now informed of their breast density and have access to reliable screening tools to find cancer early when it is most treatable. Connecticut's law has encouraged women in other states to advocate for a breast density bill. These women, like me, learned about their breast density after their cancer was detected within a year of a "normal" mammogram. Presently, there are pending bills in Florida, New York, Texas, and Massachusetts. Other States are actively seeking legislation (Missouri, Kansas, California). Together we founded D.E.N.S.E. (Density Education National Survivors' Effort) and are working on a Federal Bill.